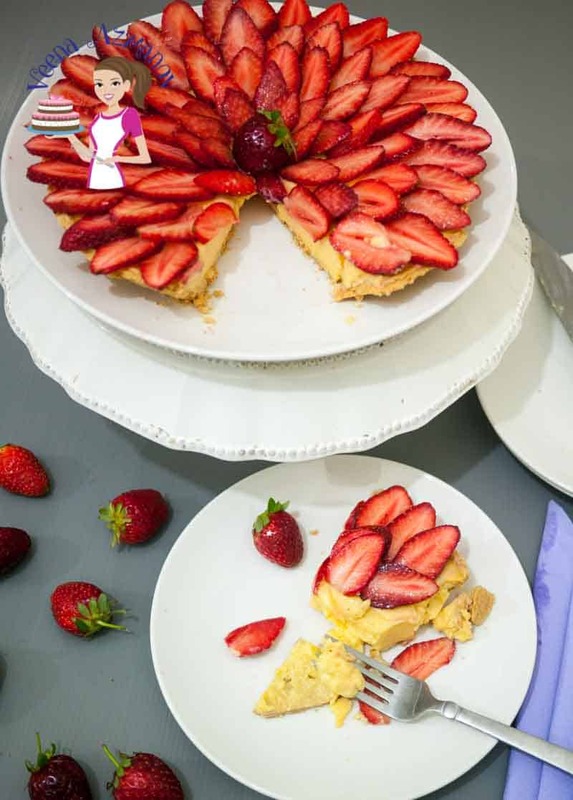 A delicious fresh strawberry tart made with buttery shortcrust pastry baked to perfection, filled with rich luxurious creme patisserie, dressed with slices of seasonal strawberries glazed to a perfect finish. A simple and surprisingly easy strawberry dessert recipe that people will think was made by a pastry expert. 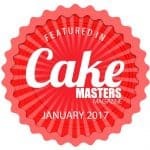 I’ll share with you tips on how to execute the masterpiece flawlessly from start to finish like a pro. Do you strive for perfection? especially when you are baking? I believe we eat thru our eyes first then with our stomachs. To me, that five-minute breakfast egg has to look presentable, so does that dessert I spent hours making. ON the personal level I like to take things as it comes. 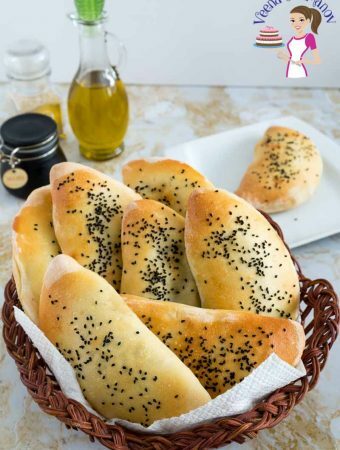 Try to be organic, let it go as some say go with the flow but if I bake a dish and it does not look good? I’m in a bad mood. I really am. NO matter how delicious it may taste, it just has to look good. Often I get family and friends who always admire that my food is so presentable. The truth is that if you do things properly step by step in the way it’s supposed to be done. That presentation comes naturally. If you cut corners and wing things more often than when necessary, you end up having to compromise on important things. And not, not everythign that looks nice is actually difficult to make. It’s just how you approach it. If I’m doing something for the first time – I will follow the rules and no experiments. Recently, I took this Fresh Strawberry Tart with me over to the cousins for dinner and everybody was amazing at how perfect the tart was. And they refused to believe that this is an easy dessert and that if you follow the recipe closely then achieve a perfect finish is possible. One of my absolute favorite fruits is strawberries. Love them in any form – just as a fruit, cooked into a jam; added to a dessert or served as a garnish. Now that strawberries are in season again, you will be seeing a lot of strawberry desserts from me again adding to my already large collection from macarons to entremets. Have you seen my Bavarian cream or bavarian cake yet? 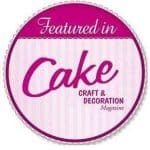 For you cake lovers, I have not one but two strawberry layer cakes and three strawberry cheesecake recipes including my popular crustless ricotta cheesecake. An absolute classic and one that often is featured very proudly in French Patisseries all over the world. Looks complicated but the truth is that it is one of the simplest and easiest strawberry desserts you can make. The best part about this dessert is that you can make in parts, which means you can make it ahead of time. Which is a great thing to have when you planning a dinner with guests? Today, I’m going to share with you how you can make this dessert without being overwhelmed and with tips on how to make it perfect every single time. So, there are three main parts to this dessert. 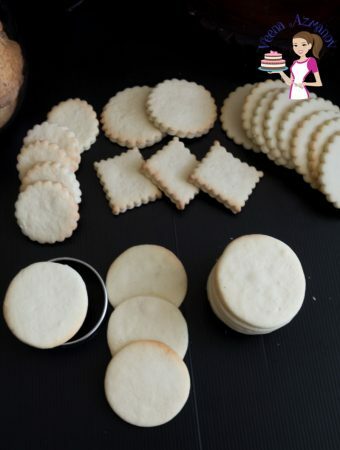 Now making sweet shortcrust pastry is really easy and I have a great step by step for you here on this blog. Having said that; I most often have store-bought shortcrust pastry in the freezer; for those just in case occasions. So don’t worry if you have to use store-bought pastry. I won’t tell anyone. This is that rich, creamy, luscious filing you get is most fruit tarts. If you ever had a pastry with a creamy filling inside mostly often its creme patisserie or a variation of that. Honestly, vanilla pastry cream is fairly quick and easy to make and I have a video recipe for you so you can see step by step the whole process. You can use that video as a guide but make sure to use this recipe below because it will make the right amount you need for your tart and it has a little bit extra cornstarch so you can get pretty slices of this dessert. Today, I’m using strawberries because strawberries are in season. If you remember we have used fresh blueberries when we made a Blueberry Tart. Exactly the same recipe just with a different fresh fruit. So yes, you can make this recipe with other fruits raspberry tart, blackberries tart, kiwi tart, mango tart… you get the idea. Can you Make This an Eggless Strawberry Tart? Absolutely! Omit the egg yolk in my sweet shortcrust pastry tart – I’ve done it often, works great. Use eggless vanilla pastry cream instead of this classic creme patisserie. Also, we use very little water because our goal is to keep the pastry crumbly. Adding more water will take that crumbly texture away and give us a tough dough. 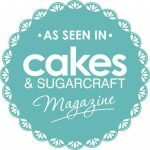 Sugar – Always keep the filling and crust in mind when altering a recipe. 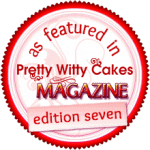 You can omit the sugar in the shortcrust pastry but make sure the creme patisserie is the right sweetness for you. I like to balance the sugar between all elements in a dessert so a little sugar is both works best for me. Milk – use regular full-fat milk, not low-fat milk. The milk is one of the main ingredients here so make sure you use at least 3% fat. Low fat will just not thicken enough. Egg yolks -This gives the pastry that crumbly biscuit-like texture. We do need good quality, large egg yolks here. It’s what gives the pastry cream its richness. The egg yolks also contribute to the color of the final product. So, I prefer to use organic eggs with a light orange color. Again this is optional, the regular egg yolks work just fine. 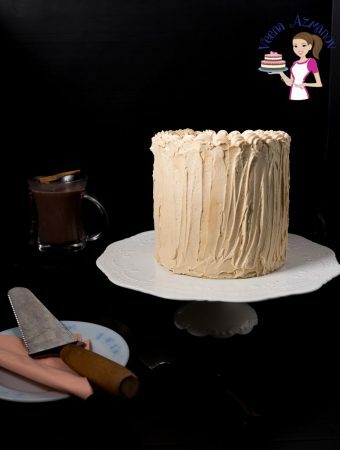 Vanilla – you must use good quality vanilla for this pastry cream. It does make a huge difference. 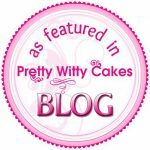 I use a vanilla bean in my pastry cream and vanilla extract in the shortcrust pastry. Cornstarch/cornflour – In addition to the egg, this cornstarch will help thicken the pastry cream even more. You can add more or less depending on the consistency of pastry cream you need. This recipe works for a 9-inch tart pan. 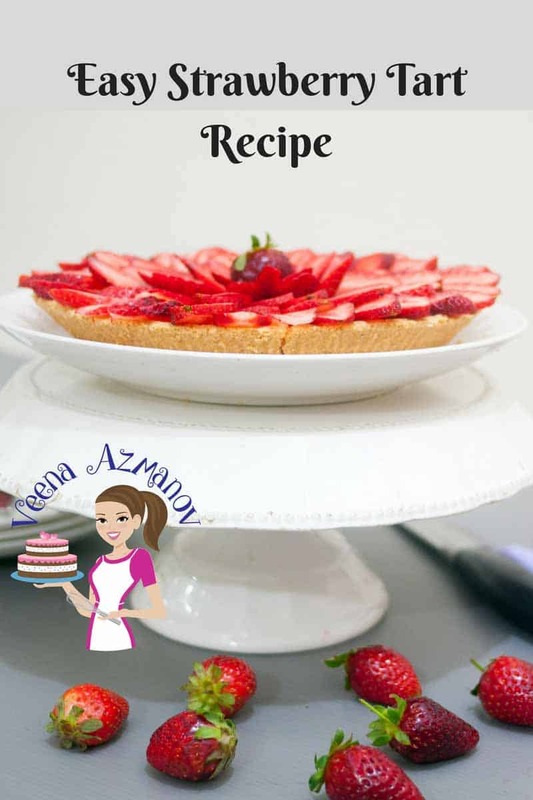 You can make a smaller or larget tart as well by simply adjusting the recipe servings below or using the extra ingredients for something else. I love using my food processor to make my shortcrust pastry. It makes things so simple, easy and effortless. Having said that pastry can be made with just a Bowl and fork or pastry tool too. A rolling pin to roll the pastry and a kitchen knife to cut off the excess. 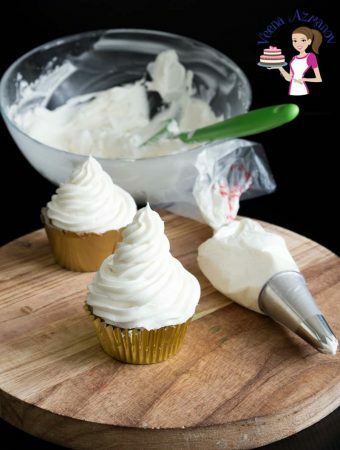 You can use a spatula to make the pastry cream but a Whisk works best to ensure you have a smooth creamy consistency. Use a heavy bottom Sauce Pan so it won’t burn the pastry cream quickly. You can also use a gas heat diffuser to maintain the amout of heat when cooking the pastry cream. Add the chilled cubed butter. Pulse for 30 seconds at a time until you have a breadcrumb consistency. Add the ice water and pulse 10 seconds more. Pour mixture on a floured surface and gather it all into a ball. Flatten the ball into a disc and chill for 30 minutes. When chilled lightly roll on a floured surface to about 1/8 thickness. Transfer over a rolling pin to a 9-inch tart pan. 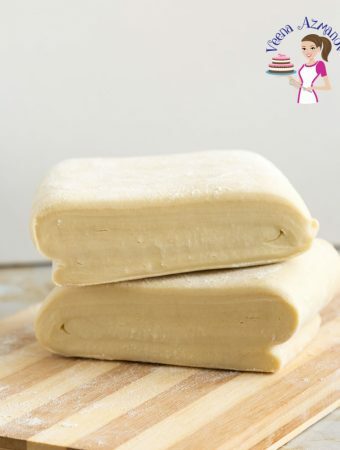 Cut off any excess and place pastry in the fridge for 10 mins while you preheat the oven. Bake for further 10 mins until lightly golden. Pour milk in a heavy bottom saucepan over medium heat. Cut the vanilla bean in half length way, open the pod and scrape the seed. Add the pod and the seeds to the milk. Let the milk come to an almost boil. Place egg yolks, sugar, salt, and cornstarch/cornflour in another bowl. Whisk until light and foamy, almost dissolving all the sugar. When the milk has reached an almost boil. Lower the heat and remove the saucepan from heat. Carefully and gently – pour some of the milk into the egg mixture while still continuously stirring or whisking to prevent the eggs from curdling. Once more than half the milk has been poured into the eggs mixture the eggs have been tempered. Now transfer all the milk and egg mixture back into the saucepan. Place the pan back on medium-low heat and continue to cook the pastry cream stirring all the time until thick and creamy. Because we have more cornstarch added to this mixture it will become thicker than regular creme’ patisserie. Remove the heat – add the butter – stir until dissolved. Pour through a sieve – discard the vanilla bean and scrapings as well as any curdled eggs in the sieve. Place a plastic wrap on the surface of the pastry cream and leave to coo. Sort fresh strawberries per their size and cut them into slices. Fill no more than the rim of the tart leaving enough space to add the strawberries. Level the top with the back of a spoon. 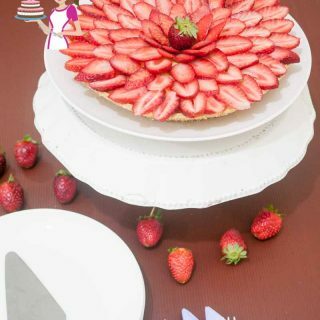 Arrange the strawberry slices starting from the edge of the pastry using the large strawberry slices. Continue layering them as thick or thinly as you want until you reach the center. Warm the jam or jelly with 2 tbsp water in a microwave safe bowl. Using a pastry brush, glaze the strawberry slices with the melted jam or jelly. Place in the fridge to cool until ready to serve. When ready to serve remove from the tart pan carefully and place on a serving platter or cake stand. Tips for the perfect fruit tart every single time. Bake the shortcrust pastry ahead of time. This makes it less stressful but also gives the pastry time to rest and the butter to cool. Always leave the party in the tart until you have finished assembling it. This will prevent any accidents from rendering all your hard work useless. If you see a crack in the pastry do not attempt to fix it now – continue adding the filling. Often the filling will help hold the pastry together. Always showcase the finished tart on a flat surface to prevent the center or sides breaking. 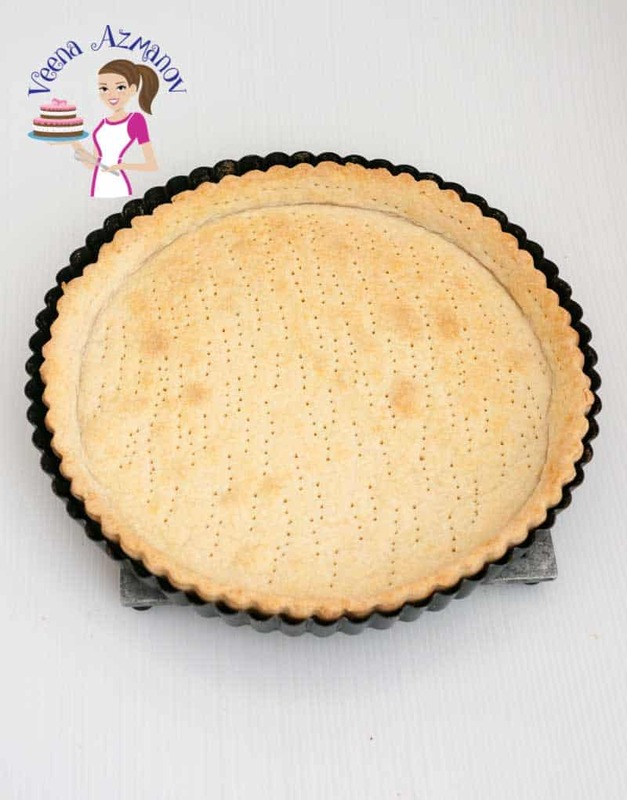 To unmold the pastry from the pan – find a jar or object that is smaller than the tart. 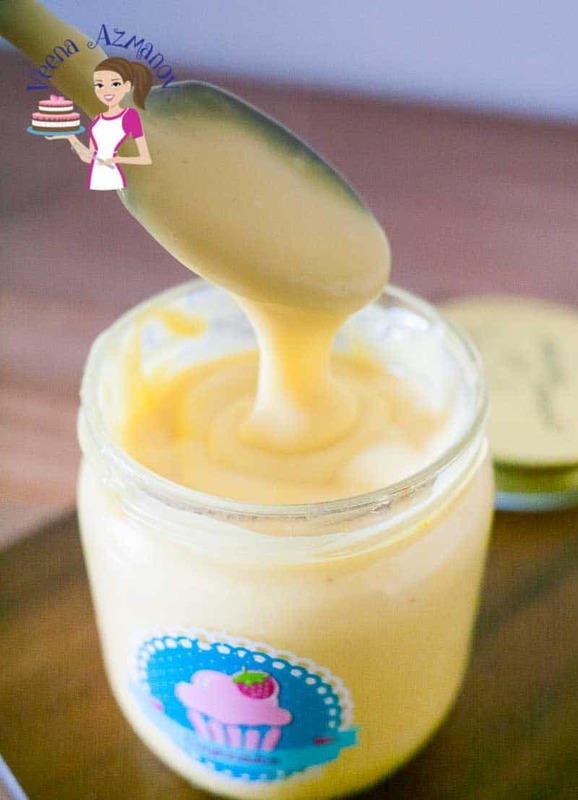 Place the tart on the jar and gently slid the ring down. Then, hold the tart carefully and slide it to a platter, plate, stand until you have the bottom out completely. Pastry cream is easy but also delicate and easy to mess up so always give it your undivided attention. No phone call and no multi-tasking. Avoid adding fresh fruit on the tart or creme patisserie too early as fruits have moisture and the juices will bleed into the pastry making it soggy. Chill the pastry with the pastry cream for a couple of hours. This will give pretty slices when you cut the final dessert. Always glaze fresh fruit. The glaze creates a seal that locks in moisture and prevents the fruit from bleeding too much, plus it stays fresh longer. 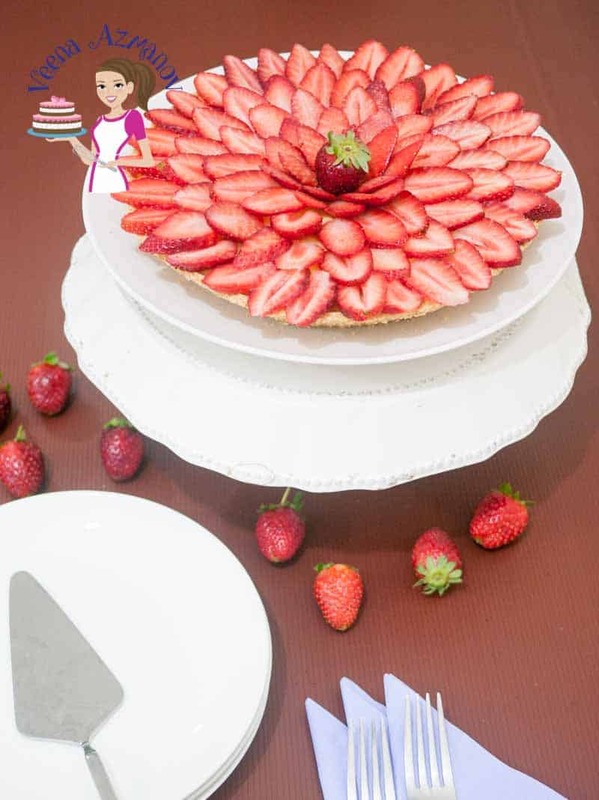 Save this Fresh Strawberry Tart recipe on Pinterest for later. 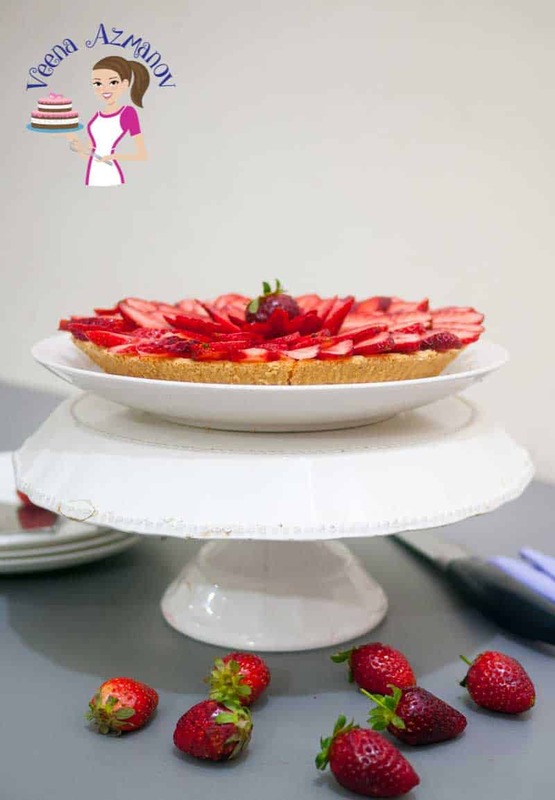 A delicious fresh strawberry tart made with buttery shortcrust pastry baked to perfection, filled with rich luxurious creme patisserie, dressed with slices of seasonal strawberries glazed to a perfect finish. A simple and surprisingly easy recipe that people will think was made by a pastry expert. 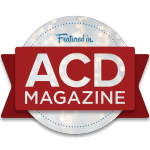 I'll share with you tips on how to execute the masterpiece flawlessly from start to finish like a pro. 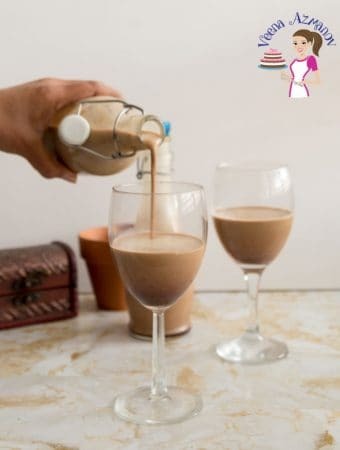 Carefully and gently - pour some of the milk into the egg mixture while still continuously stirring or whisking to prevent the eggs from curdling. Because we have more cornstarch added to this mixture it will become thicker than regular creme' patisserie. Remove the heat - add the butter - stir until dissolved. Pour through a sieve - discard the vanilla bean and scrapings as well as any curdled eggs in the sieve. Love Strawberry? 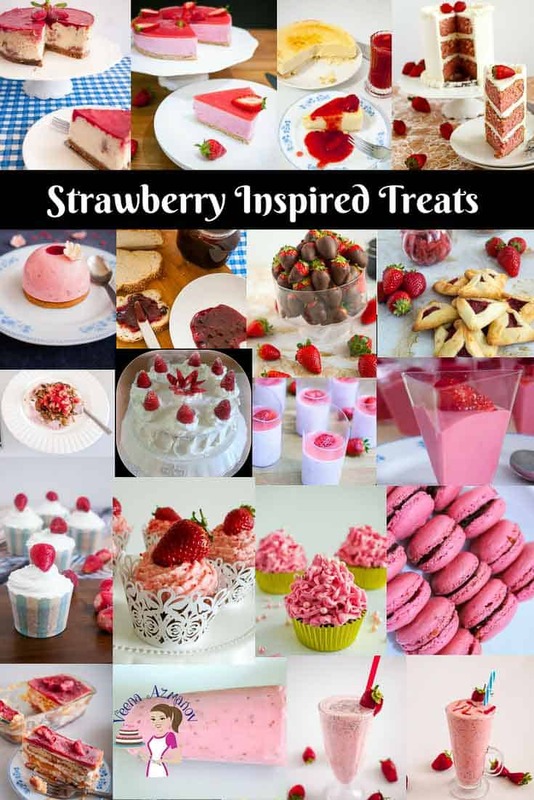 Look for strawberry inspiration? Strawberries just came into season here this week, and I love how beautiful this tart is! What a stunning way to showcase such a delicious fruit! Thank you Mackenzie. Absolutely makes a great presentation. Oh my goodness!! This looks absolutely amazing … You have explained it so well. 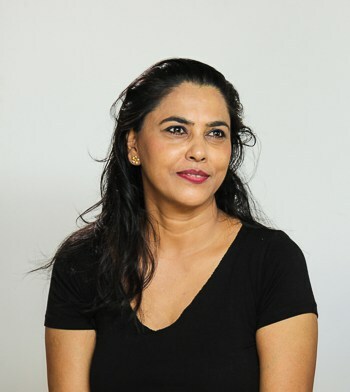 Thank you Soniya. So happy you find my explanation useful. Thank you ! 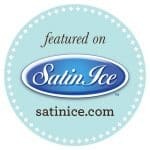 Hood Strawberries are in season right now and they are the BEST strawberries in the world…only in season for a couple of weeks each year, and I can’t wait to get some to try this recipe! 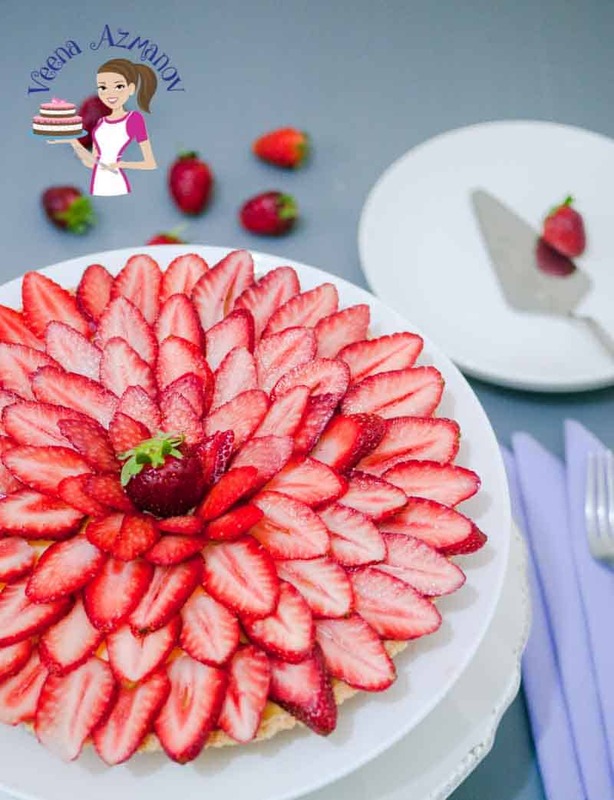 Your strawberry tart looks simply stunning! Thank you so much Marlynn. let me know what you think if you try it. I have been seeing juicy strawberries all over the place but I told my mom I’d strawberry pick with her next month when I vacation back home with her. I’m adding this to the list to make with her but I’m not sure i can wait that long! I love fresh berry season, and this tart is perfect. What a great presentation too. Love it…and it will happen…once the berries arrive. It has been a cold, wet season…and I am getting impatient. Me too.. So many berries and such little time.. I hate how soon the berry season gets over too! Dont’ wait long. Enjoy! Thank you Mari. It sure is delish!! This is absolutely GORGEOUS Veena !!! 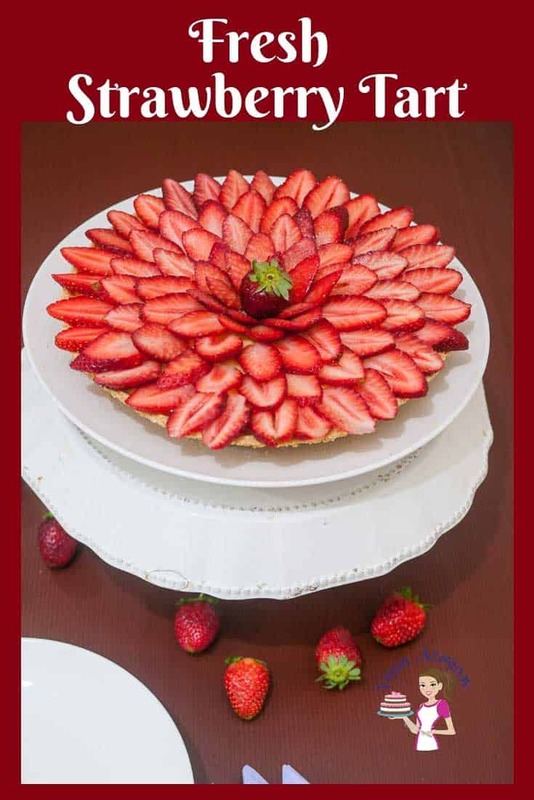 I love strawberry-based desserts in summer and this tart is so pretty and easy to make. I’ll try the recipe, bookmarking it. Veena, I can make this one!! 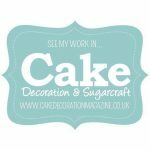 I’m always in love with your desserts, but the cakes intimidate me (my problem because all cakes intimidate me … I stick to basics, not yours because you always make it seem easy, I’m just a big chicken) But this is right up my alley… easy, cool and pretty! Thank you Noel.. 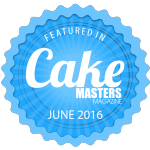 Thank you so much – I love baking. 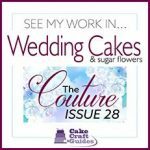 I do know that my custom cakes are time consuming but this one is super easy and you most definitely can do it. Let me know how you like it. Thank you Adriana. Yes this is easy and always so pretty. What a beautiful tart! The strawberry slices are perfect. We have strawberries around here but the size differ from small to huge! Yours all look the same size. It looks like a work of art. Thank you so much Marisa. I do pick them similar size if I’m using them for a specific dish. I do have a good grocer who know my line of work so he is always very accommodating. Thanks goodness for that. It looks stunning! 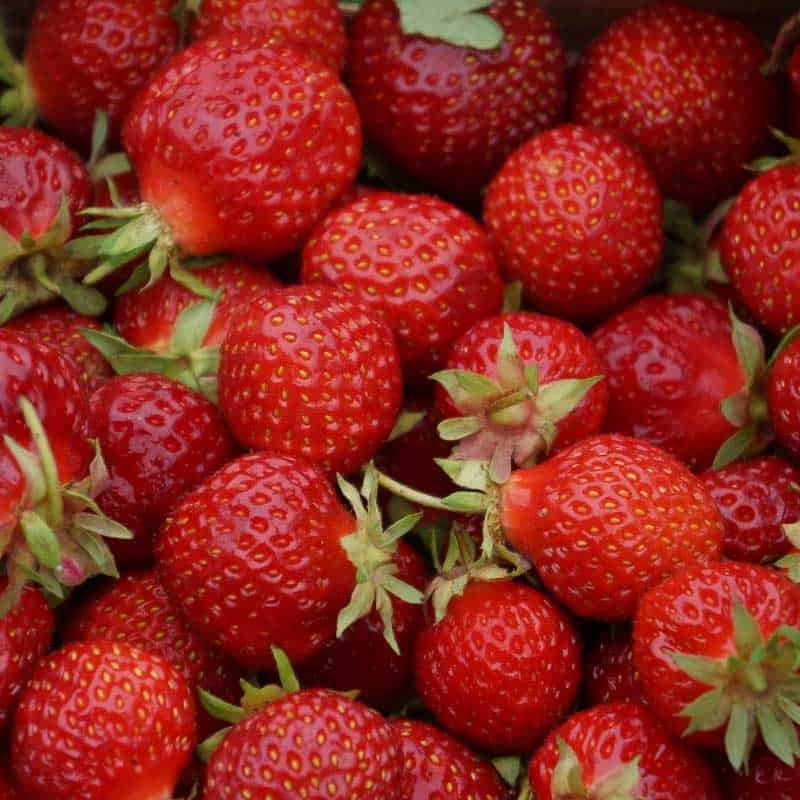 It`s perfect for this time when my garden is full of fresh strawberries! Thanks for the recipe, have a great weekend! Stopping by from Share My Post group. Thank you Cristina. Yes, would be lovely to have fresh from the garden -I get them from the grocer.